Flexzorb™ has several proprietary properties for superior performance in a wide range of applications and can be custom manufactured to meet the challenging requirements of end users. Flexzorb™ Activated Carbon Cloth (ACC) products can be used in many apparel applications, from Chemical, Biological, Radiological, and Nuclear (CBRN) protective clothing, socks, gloves, and decontamination wipes for the defense sector. Additionally, the activated carbon cloth is used in medical apparel for physician gowns and patient clothing in the healthcare industry. Flexzorb™ also provides efficient and effective odor control in consumer apparel which includes odor control underwear, denim, and pajamas. Flexzorb™ uses the latest cutting edge filter technology for clothing compared to other materials such as embedded carbon, carbon fixed to support media or membrane technologies which, in comparison to Flexzorb™, can be uncomfortable and less effective. Flexzorb™ can be treated so that human sweat does not interfere with its performance and provides protection against liquid agent unlike other forms of carbon cloth. The cloth can also be laminated to other materials to provide a composite which is fire retardant. Flexzorb™ can also be used in CBRN protective filters offering protection at faster airflow rates. 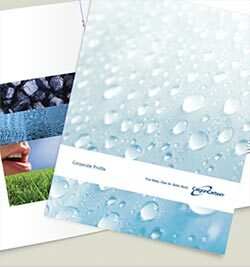 The Cloth Division’s Research and Development team are constantly researching and discovering new attributes of Flexzorb™ Activated Carbon Cloth, so it has a nearly limitless number of applications.